In this article, we are going to blink an LED using our arduino board. 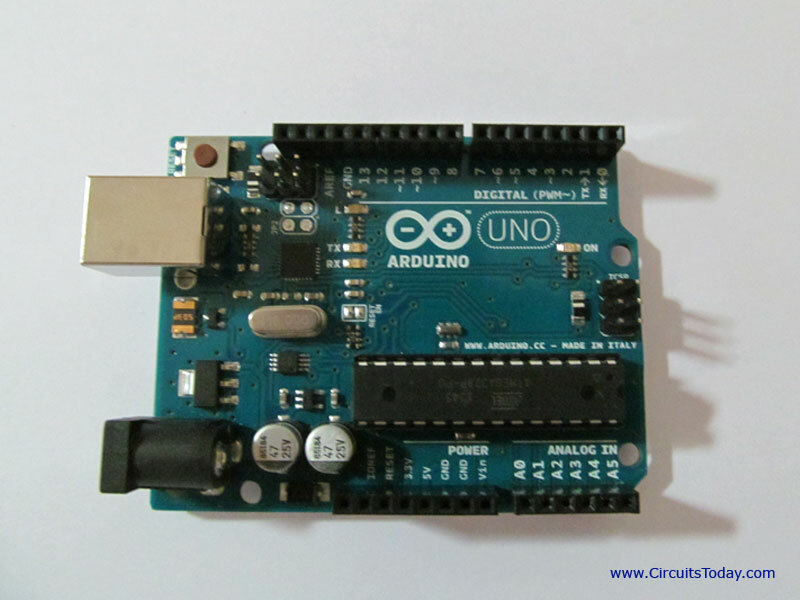 I will be using an Arduino Uno board to demonstrate the whole process. Before going deep, if you are very new to arduino, I suggest you read the following articles. This is one of the simplest description given to an electronics prototyping board, and is easily understood by anyone. I will be coming up with a detailed article on Arduino hardware and software next – in which I will explain the board in detail. 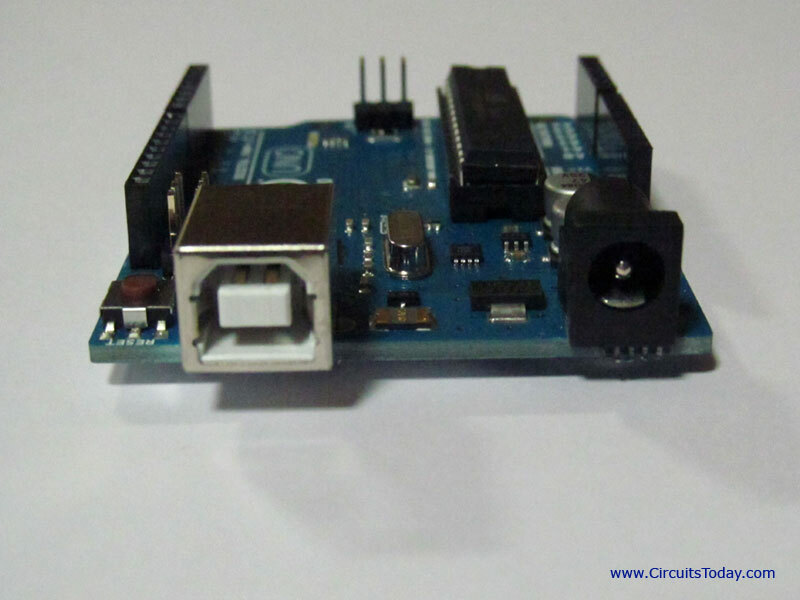 The photograph given below is the side view of Arduino Uno board made in Italy.